My douglas fir lake pier was stained with this defy marine last year when the pier was built. It faded a bit in the first year. What is the procedure to freshen up and re-apply? I will be staining a children's playhouse with deck as well as my dock railings and trim. The dock portions are not submerged, and will always be above water. I would like to use the same stain for both. Do you recommend the extreme or the marine wood? Also, any issues with using a sprayer to apply? Yes use the Defy Marine. You can spray the Defy. Back wipe drips though. What is the coveridge rate of this product? About 150 sq. feet per gallon. 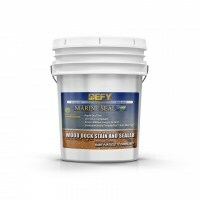 I have used Defy stains in the past and was surprised to read in the Defy Marine product data sheet to "Apply two coats, allowing the first coat to dry to the touch before applying the second coat." However, you webpage says to apply 2 coats, wet on wet. Which is correct? Also, what in the Marine stain makes it better for docks over the Extreme? Of course I don't what product formulation secrets but generally is it more UV protection or what? You want to apply two coats "wet on wet". The Marine has a the ability to flex more so than the Extreme. UV protection is the same. I would use the Extreme instead. The Marine is more for over water or right next to it. Would your Marine Stain hold up better than a regular stain if applied to an old PTP railing and spindles only 100' from the ocean? Water damage isn't so much an issue as the railing, which is in the open and not shaded, will dry quickly, but the deck faces south and gets sun and reflected UV all day every day. Thanks! Constance, all stains fade and need reapplication every 2-3 years. Using a Marine stain will not give you any advantage. Best would be the Defy Extreme Stain but it only come in a medium gray color. Hi...My husband has put up a Round Pen for training horses. The 50 foot round pen is built with white cedar posts and planks. They are fresh cut, only a few weeks old. We are looking to perserve the wood with a color persevative of some sort (dark grey perferrably). I was doing some research to see what the best perservative is for them on the internet and what I have found, recommended Cupinal Wood perserviative (Copper Naptheate) but I see that this product fades and it has to be re-applied which we are looking to avoid. Also, I read that the posts should be dried for several months before putting them in the ground which is a little late for us, so my husband is going to wait to let them dry out some even though they are in the ground. He plans on putting a perservative tar around the soil base where the soil and the post meet and where most of the fungi rot happens....Then, I also thought what better product than a perservative for marine applications for the rest of the post and planks. Is there such a marine product out there that we could use on the cedar posts and planks that will perserve the wood yet the upkeep would not be so work intensive of applying every few years? We are looking for a dark gray product. What would you suggest. We are in Michigan and the ground is level and was once used for a garden area. We will be bringing in some gravel and sand for the foundation of the round pen. Also beyond the recommendation of the marine products we could use we would appreciate ny suggestions or comments about any problems you may see that we haven't realized yet. It would be best to use the Defy Hardwood as it penetrates better in your wood type. Just curious... I have a red cedar deck to refinish located in Connecticut. 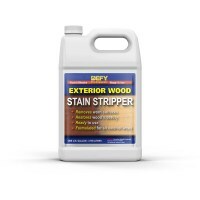 Assuming I remove the existing stain down to bare wood, is there any advantage or disadvantage (other than price) in using Defy Marine stain in lieu of Defy Hardwood stain on the cedar? For example, would the marine stain provide longer protection so that I don't have to re-stain as often? Is there any difference in the look of the two finishes, i.e. depth of color, wood grain, etc? Mold/Mildew resistance? Will one wear better than the other under heavy human traffic? Again, this is a house deck, not a dock on the water. Thank you for any info. You will need to strip off the SW stain with a deck stripper. 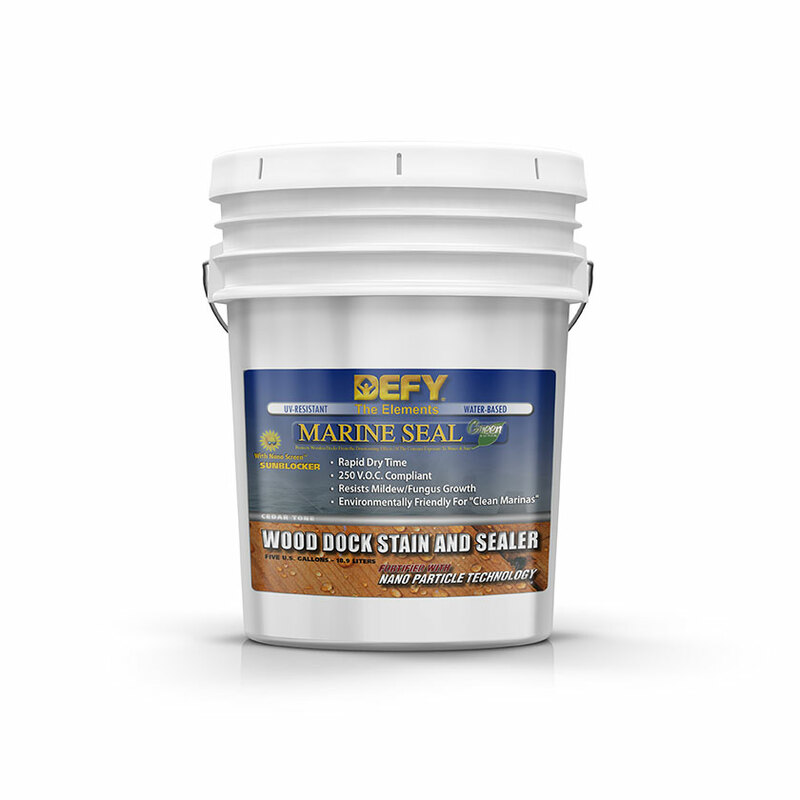 You can use the Defy Marine Stain for both the deck and dock. I have applied a Sherwin Williams sealer with tint about 4 years ago to my dock (on fresh water) and my deck. How should I remove this to apply Defy on the deck and dock? Would the Defy Marine Stain be applicable for both the deck and dock? Prep with the Defy Wood Cleaner for best results. I would use the Defy Marine Stain for this. I have a 4 month old pier made with Yella Wood in Alabama. It will get 100% sun and the only water it will get will be rain water. Which shoudl I use, Extreme or Marine? Whichever you recommend what should I use as a cleaner and how long between restainings? You should not put a Defy Stain on top of another stain. It would be best to remove the previous stains first then apply the Defy Marine Seal. This way the Defy will perform properly. I have a dock I need to stain. It is in Southern Florida, on salt water and in full sunlight. It already has semi-transparent stain on it. What product is best? For a IPE Dock over water I would look at the Defy Marine Stain in the Light Walnut color. I have a large (2000 s.f.) Ipe wood dock that is on salt water. Which sealer/ stain would last longest and be best? The Extreme or Marine Seal? Does it make sense to use this on a background deck that sees a lot of moisture due to high shade OR am I better off using "EXTREME EXTERIOR CLEAR WOOD STAIN"? 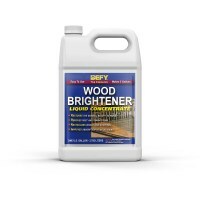 You can use the regular Defy wood cleaner followed by the Defy wood brightener to prep your new wood and "open" the wood pores so that your stain will absorb better. I'm preparing to do the first stain on a fresh water lake dock in Indiana. I was preparing to purchase Defy Extreme stain in light walnut color when I realized you make a marine product. When preparing new, unstained pressure-treated wood that was installed 12 months ago what steps should be taken before using your marine stain? I see you have a marine cleaner that I would use first. Do you recommend using your brightener also before staining with the marine stain?